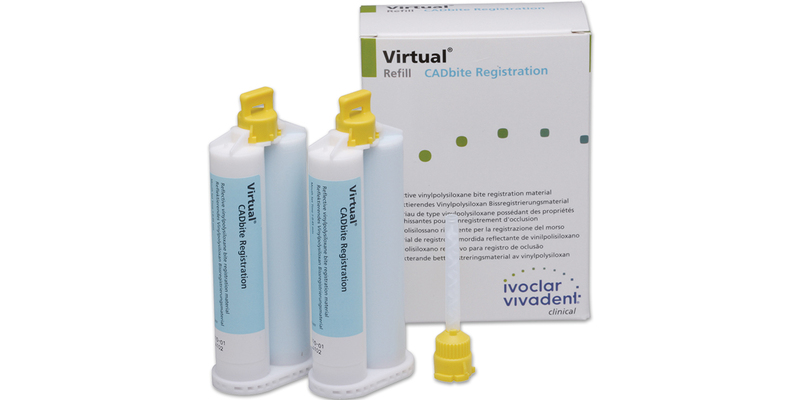 Scannable bite registration material that can be used for the optical recording of data when fabricating restorations with CAD/CAM systems such as CEREC. May also be used for conventional bite registration techniques in conjunction with indirect restorative procedures. The material demonstrates a non-slump consistency, short setting time, good dimensional stability, and excellent reproduction of detail.